Friends of the Siberian Forests joined the Environmental Paper Network (EPN) in 2006, right at the start of the European network. This Russian non governmental organization (NGO) was founded in 1992 and its mission is to preserve Russia’s unique forest landscape with a focus on Siberia. 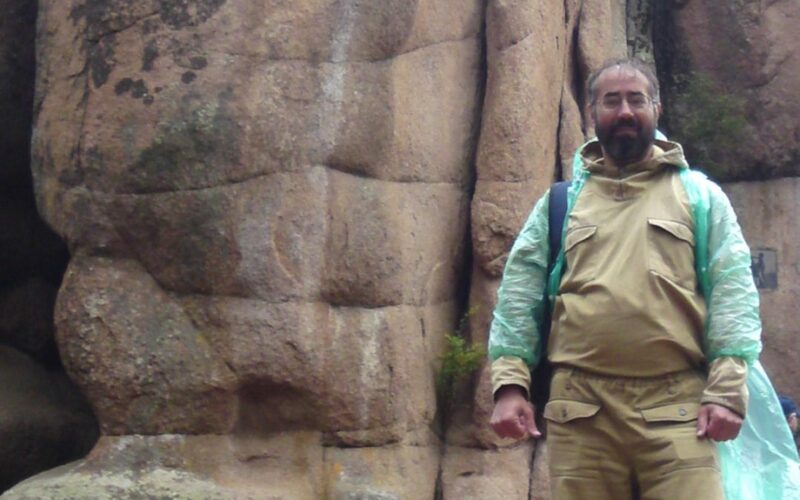 EPN reached out to Andrey Laletin, Founder and Director of Friends of the Siberian Forests. EPN: Tell us how you got started? Andrey: It all began 1981. At that time I was a young scientist and I was busy doing my PHD in forest ecology. I was a member of the only environmental NGO in the Soviet Union called “Society for Environmental Protection”. And in 1992, with some colleagues from the university, we started our own NGO Friends of the Siberian Forests. And how many are you? We started with 15 activists and nowadays it depends. Sometimes more than 30 people join our activities, but in the last couple of years, we lost some people, because NGO work can be dangerous in Russia today. Dangerous? What does this mean in concrete terms? Activists get beaten up sometimes. Computers and infrastructure are confiscated by the authorities and they treat us like foreign spies when we get money from abroad. It started with the law on “Foreign Agents” in 2012 and many honest NGOs in Russia have closed since that time and have got substituted by GONGOs (Governmental Organized NGOs) which never criticize the government. How was environmental NGO work in the past? In the Soviet Union, during Glasnost and Perestroika and in recent years? In the Soviet Union NGO work was very formalised and it was only possible under the leadership of the communist party. But it was possible for me and my friends to challenge political decisions that could be harmful for the environment, even though I was never a member of the communist party. We were able to avoid, for example, water being tapped from Siberian rivers in order to irrigate cotton fields further south. In the early 1990s, during Glasnost and Perestroika, it became even easier to be an NGO activist. Society was full of enthusiasm during that time. After 2000 working for environmental protection became more and more difficult. The Environment Ministry and the Forest Ministry were closed down and their functions were combined with the Ministry of Natural Resources, which deals with oil and gas. A new forest code that was adopted in 2007 made exploitation of the woods much easier for the industry. You said that your work was easiest during the 1990s. What did that mean in practice? During that time, water was much cleaner, air pollution was rather low and we had few illegal garbage dumps in forest landscapes. That has changed dramatically today. And today, you said already that activism can be dangerous? The government only accepts NGOs that support the increasing exploitation of our natural resources. This resulted in our decision to withdraw our official registration as a formal NGO. What are the major threats to forests in Siberia? Forest fires in the first place. Many of them are illegally started by criminals because it is easier to get a logging permit when the forest was burned. This is a perverse incentive in our current forest law. But illegal logging is a huge problem, too. There is clear evidence that lots of illegally cut timber is smuggled across the Chinese border. And last but not least, the appetite for wood of the paper industry creates a lot of pressure. And is this the reason that your group is member of EPN? Absolutely. The Russian paper industry is looking globally for investments and therefore we think that NGOs should also work together across borders. And this can be very successful. Together with the help of EPN and Banktrack we were able to stop a pulp mill from being constructed in my region. I love the forests a lot and and seeing how forest landscapes and biodiversity is under threat makes me sad and angry. I want the woods to be protected for future generations.